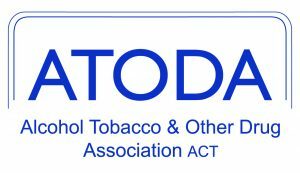 The Alcohol Tobacco and Other Drug Association ACT (ATODA) is the peak body representing and supporting the alcohol, tobacco and other drug (ATOD) sector in the Australian Capital Territory (ACT). ATODA’s vision is an ACT community with the lowest possible levels of ATOD related harm, as a result of evidence-informed prevention, treatment and harm reduction policies and services. In this pivotal role, you be responsible for communication on behalf of ATODA and provide support on the development and implementation of a range of training and sector specific projects for the organisation. This is a varied position that will require a genuine interest and commitment to the values of population health, human rights, social justice and reconciliation between Aboriginal and Torres Strait Islander people and other Australians. It would suit a qualified communications and/or project specialist with experience working on a range of projects that have informed policy. If improving the health and well-being of the ACT community is important to you, then apply by submitting your resume together with a cover letter. For further information, please contact Emma Naglieri on 03 8319 4080. Please quote in application: Communications & Project Officer via Pro Bono Australia.